Jo from the American classic novel, LITTLE WOMEN, by Louisa May Alcott must have forgotten she's a tomboy for she's much too pretty to be climbing trees! She is made of vinyl and fully-articulated with jointing at her neck, shoulders, elbows, waist, hips, and knees. 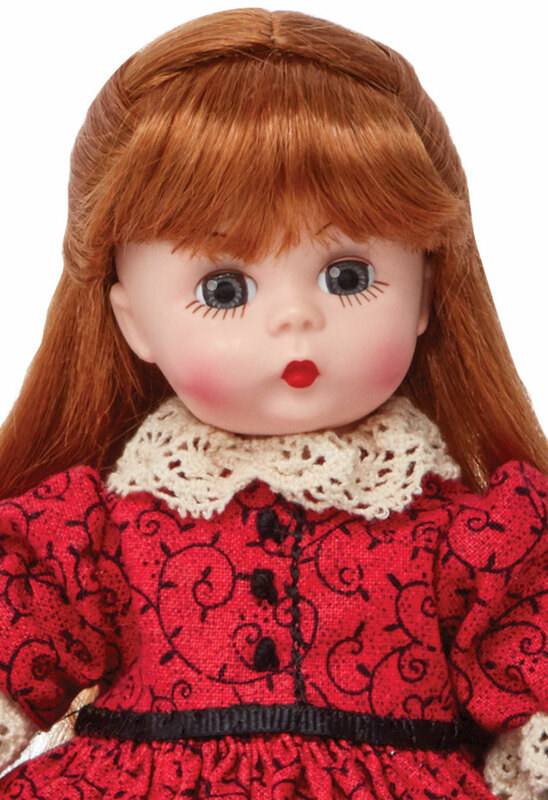 Her pretty face with rosy red cheeks and green eyes is framed by a long auburn wig. She wears a red floral print gown with lace trim at her collar and sleeves. Mary jane shoes complete her classic look. 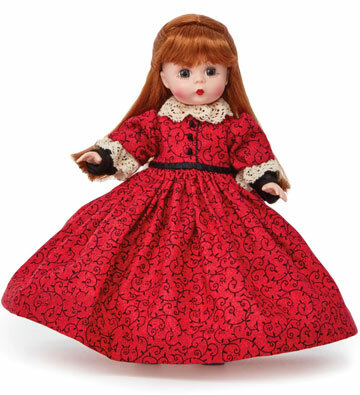 Jo, Little Women 75170 is part of Madame Alexander's Little Women Collection. Suitable for ages 14 and up.